Oh Miss Abbie! This little girl grew up in the blink of an eye! I met her when she was still in her mommas belly during her maternity session (see that here). 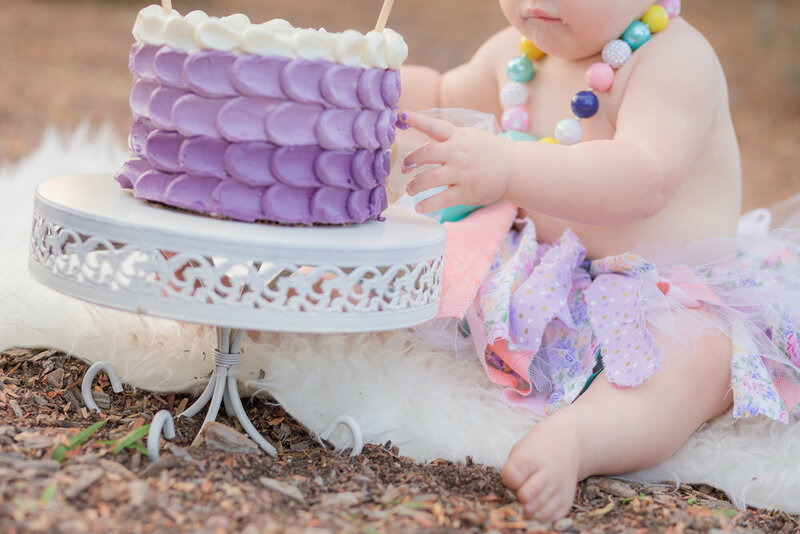 Since mom booked a first year package I was lucky enough to see this little doll every few months, so it was bitterswet when it was time to plan her first birthday session! 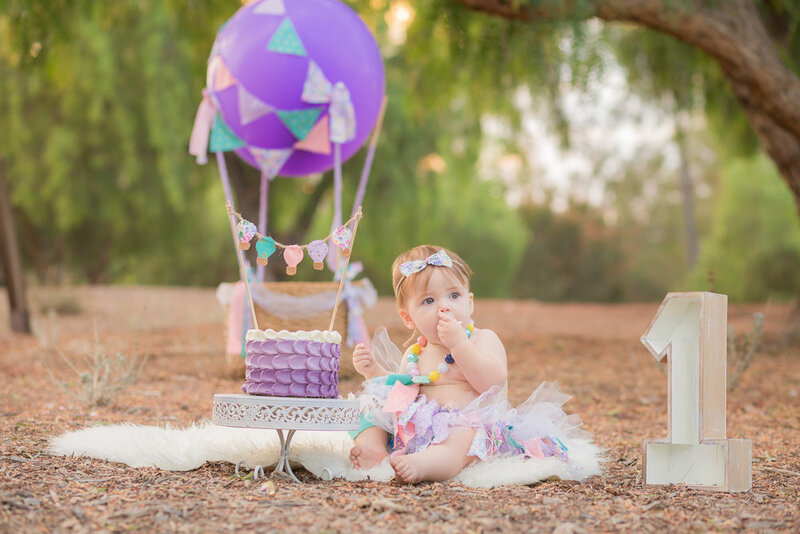 Her mom had SUCH a neat request - a hot air balloon theme! We planned all the details together and after spending entirely too long in the fabric section of Joanne's trying to pick THE perfect combination of shabby chic fabrics, lace and tulle to match the color pallete we had decided on, I rushed home excited to put together the fabric skirt and cake topper, as well as decorate the hot air balloon to perfectly match! It all came together like a dream and the day of our session went off without a hitch! Imagine the worry of driving with a 24" Balloon in the car... and the relief of it making it to our location in one piece! 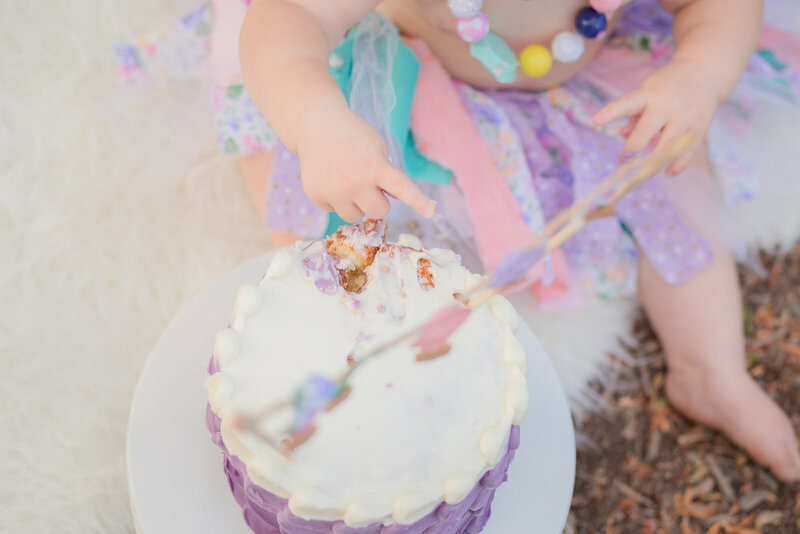 Here are some of my favorite shots from her cakesmash! 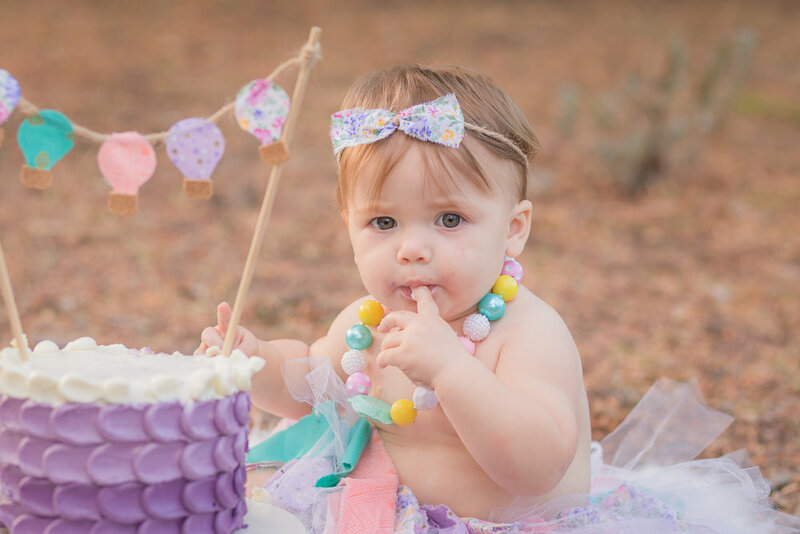 And since one cute kiddo isnt enought for a blog post, here is her adorable big brother sharing bites of the cake!